Sometimes you need to give a gift, but want to dress the packaging up extra special. 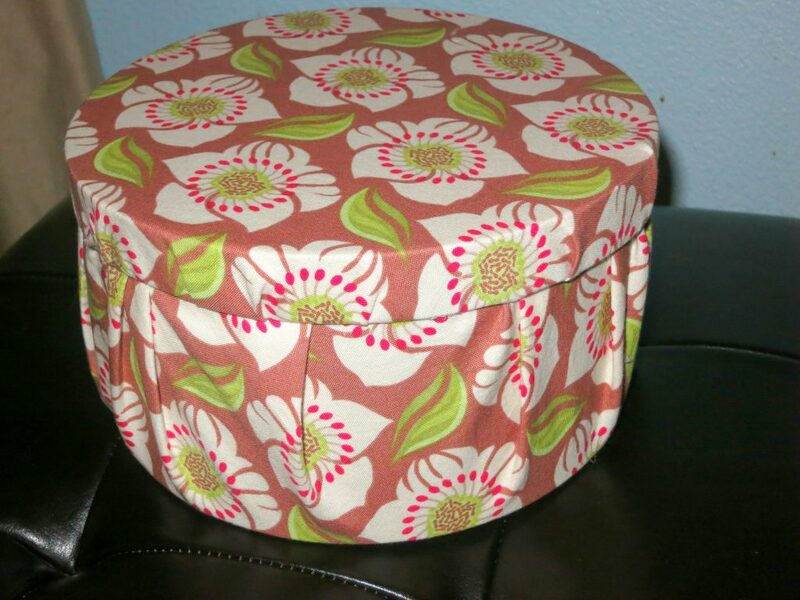 This fabric covered box was so easy to make! My good friend’s birthday is coming up and she loves to sew. 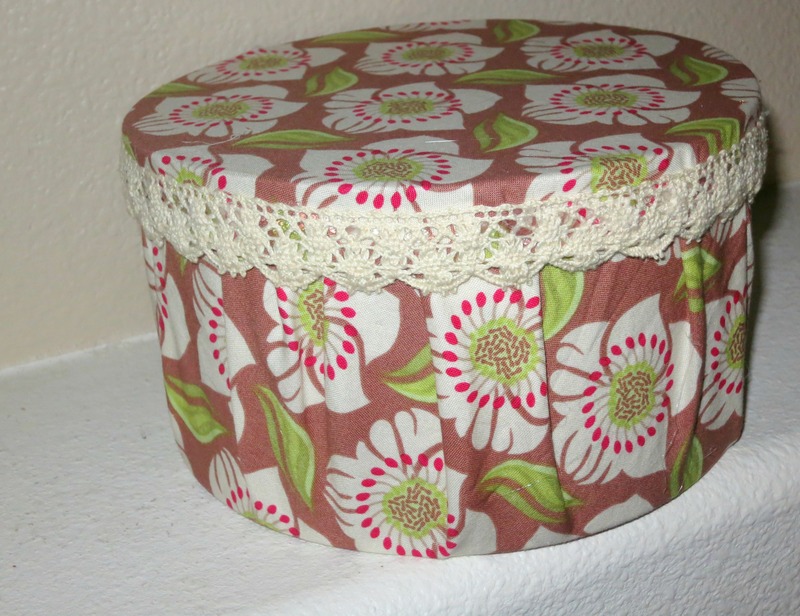 I am going to put cute supplies and maybe a gift card inside-no gift wrap necessary! The hardest part was keeping the box from shifting as I pulled the sides of the fabric in and glued them to the bottom of the box. I started on one side and worked my way around, giving it a nice gathered look. After securing the fabric around the bottom of the box, I trimmed the extras to remove some bulk. 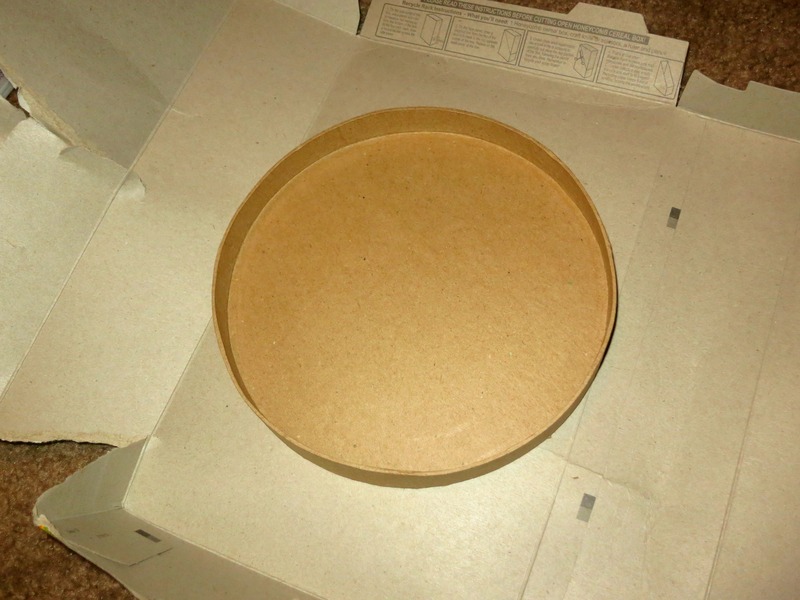 Using the lid as a guide, I cut out a piece of cardboard (I used a cereal box) a little smaller than the lid. I secured a piece of fabric with hot glue to the opposite side of the cardboard, creating a smooth, nicely finished surface. Attach to the bottom of the box, nice side up. Starting on the lid, place the top side of the lid on the wrong side of the fabric. 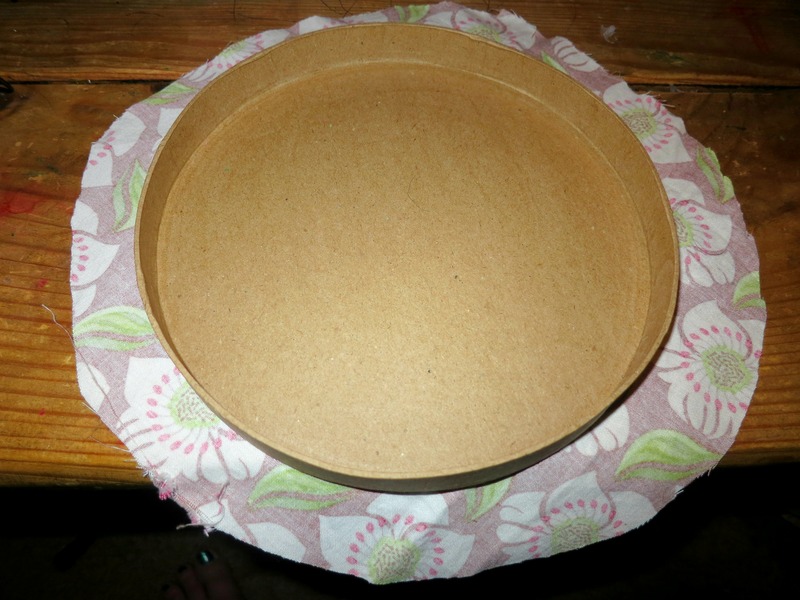 Cut fabric leaving a few inch allowance, depending on how high the lid is on the sides. 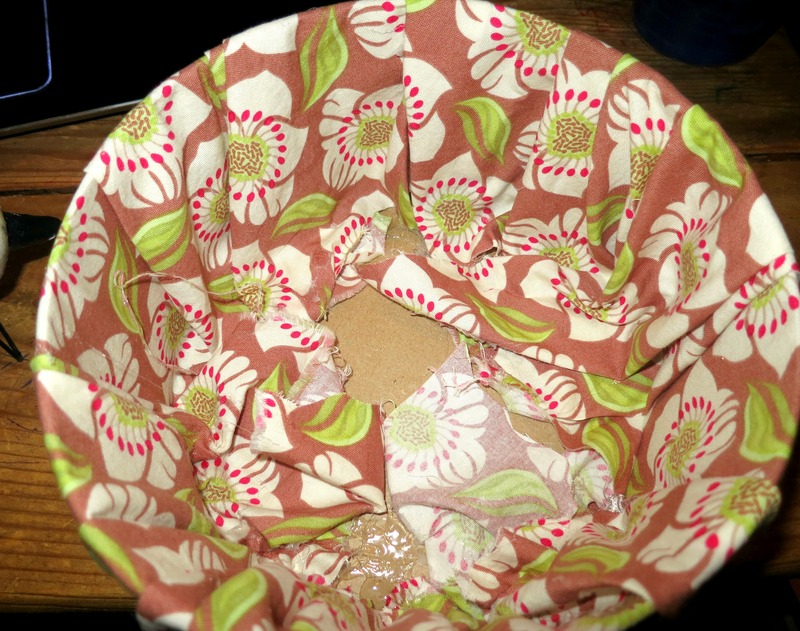 Attach fabric while trimming around the outside sides and then the inside sides using the hot glue. 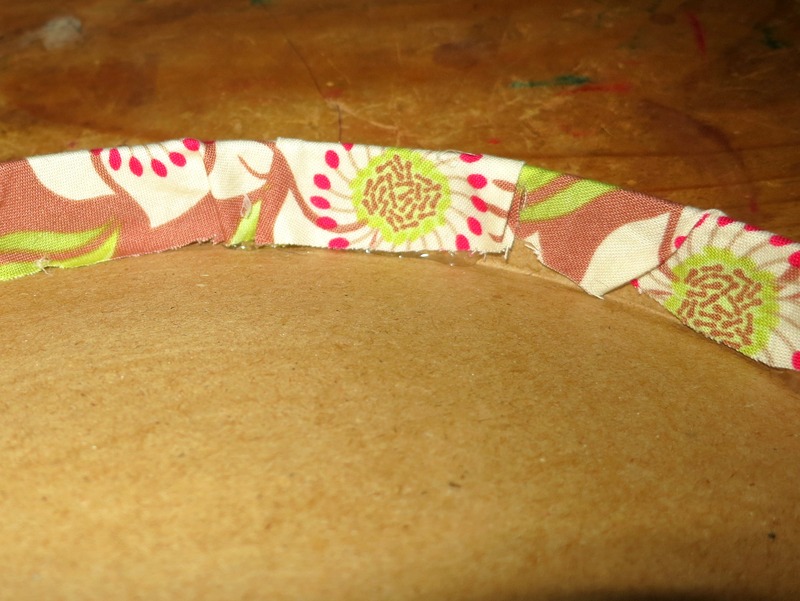 I later added ribbon to cover the rough edge of the fabric. The box is now finished, but it needed a little extra, don’t you think? I added a little vintage trim around the lid of the box for a little extra flair. It was ready for all of the sewing goodies I had picked up for my friend’s birthday! 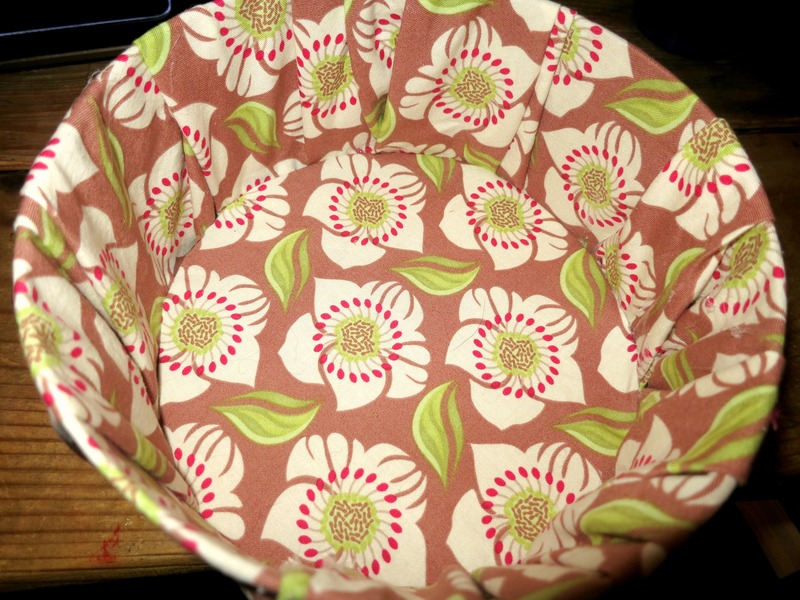 Tutorial: Make a Skirt From That Vintage (or Vintage-Looking) Pillowcase! Great idea and easy to do. I can see these for wedding showers or mother’s day presents. Thanks for sharing. Yes, I love these. I will have to grab some next time I’m at the craft store. I have tons of fabric pieces that would be perfect. You did a great job covering that round box! Super cute. What a cute idea! I love that a gift box can be another gift in itself! What a cute idea! So fun and it came out great! That looks a lot easier than I would have thought!!! Very neat! Thanks for sharing. I am remembering this for my next giving holiday! I hate buying bags, wrapping paper, etc because it is such a waste! This is a awesome idea and so cute 🙂 These would make great gifts. Such a great idea! Easy to do, too, which I love! I’d love to make one of these for my daughter! What a great idea! I love that a gift box can be used as a decor items … thanks for sharing. Love this idea for making all the different boxes I have match – thanks! This is a creative idea to present a gift in. I had never thought about doing this but this would be perfect to make using pieces of cloth that were left over. I love that you found a use for a cereal box. Hi! I play slot games. Clickfun, Lucky 7, Slotomainia and others. i am definately trying this…..love this idea. This is super cute! 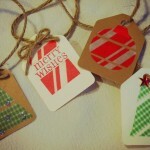 Great way to use up scraps too! LOVE this idea!! 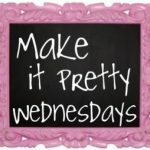 Thank you for sharing, I am always wanting to make those plan boxes cute! This would always be a great picture box!! such a great gift box for presents. seems pretty easy to make as well. These are so cute. My daughter would love to make these. I can’t wait to try making one with her. Thanks for sharing. I love this idea, I can’t wait to try it myself. It looks so great and easy. Thank you for sharing. Great Idea, make a great gift! I love this. What a great idea to make a gift even more special. I like how you can choose what ever fabric you like for the occasion. My daughter loves these types of crafts. I can’t wait to share this with her. Thanks! What a great idea! 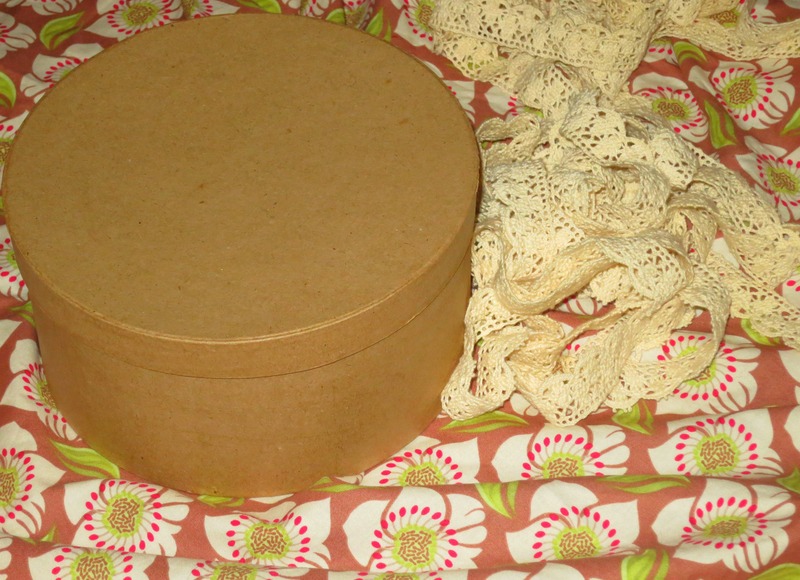 I love that we can use any kind of material and it makes such a nice keepsake and gift box. 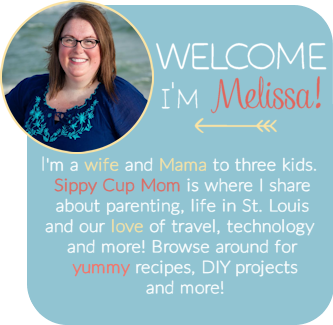 Thank you for sharing we have an awesome summer craft with the kids now. Hi there, You have done an excellent job. I’ll certainly digg it and for my part recommend to my friends. I’m sure they will be benefited from this website. this is beautiful and would make a nice handmade gift for my mom’s birthday which is coming up! I love this! I have so many fabric scraps, I’m always taking them out, wondering what to do with them, this is a perfect solution, and so easy!!! This is a great idea! 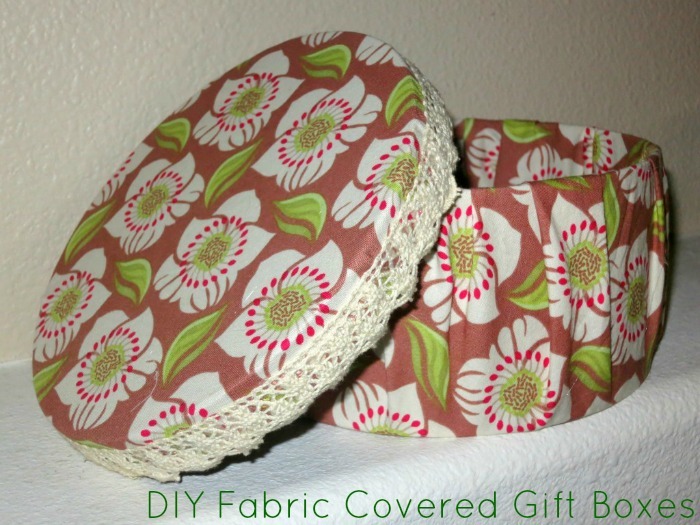 I have so many fabric scraps, these would make nice gifts, esp if you have a handmade item for the inside of the box!! I love that you can just use a glue gun for this. We have so many fabric samples that would be perfect for this.